Hello, Emily here. Today card is made with the Oogles set. I stamped the image directly on the card base and colored it with Copics. I added some hearts using embossing paste and stencil. My sentiment was embossed and mounted using foam tape. Hi everyone! Simonne here with a MONSTER PARTY card using 3 stamp sets from our fabulous January release. The "party" banner was made using the "party" stamp from Bubbly. As these stamps are clear photopolymer, there is a tiny bit of give in them, and so I was able to curve the stamp slightly before placing it onto the acrylic block (don't worry, it springs back when you remove it from the block!). The "yippee-skippee" sentiment is from Cake Day, and the cute monsters are from Oogles. Hi all! 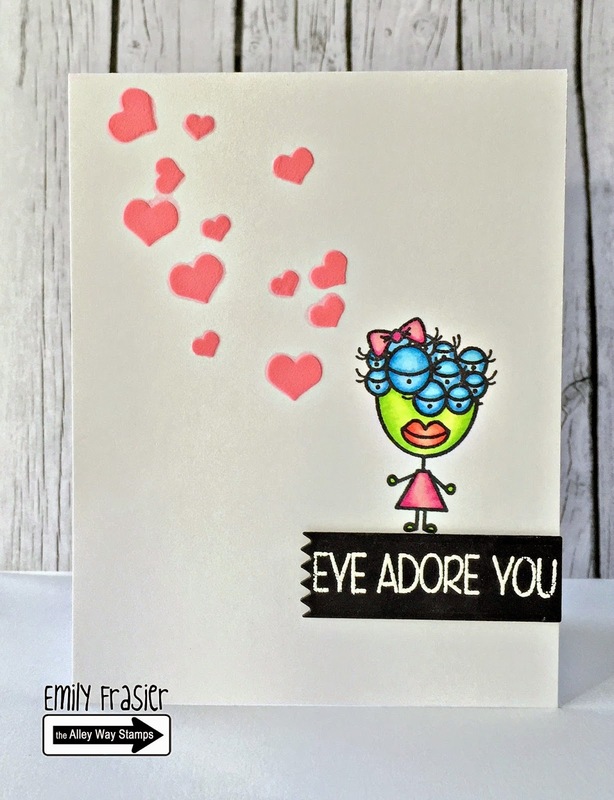 Francine here with a card featuring the fantastic Bubbly stamp set. The words in this set are SO fun! You can use them with many techniques! I colored the letters on my project with Copic markers and fussy cut them. Hey there friends!! Jeni here! I am so in love with these monsters...Oogles has such fun images!! Let's just say this set won't be getting any breaks any time soon!! I always need birthday cards and these images are perfect for either boy or girls, so let the fun begin!! The sentiment is from the Cake Day set...another goodie!! Hi there! It's Tracy here with a 'Get Well' card using the new Bubbly stamp set. This bubble word goes perfect with the Gotta Bug set! 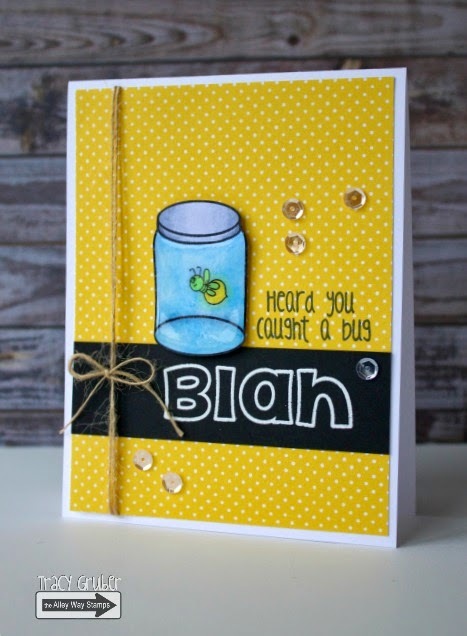 I heat embossed the 'Blah' word with white embossed powder and colored in the mason jar with Copic Markers. Hi everyone, I hope you are having a great weekend.. Holly here with a project using the fun sets Oogles & Bubbly! These sets are perfect to combine together to make fun sentiments. February Blog Hop - WIN ALL THREE SETS! February Sneak Peek Day Two: Tootharina - WIN IT! February Sneak Peek Day One: Stumped - WIN IT! A Video and a Shaker Card! 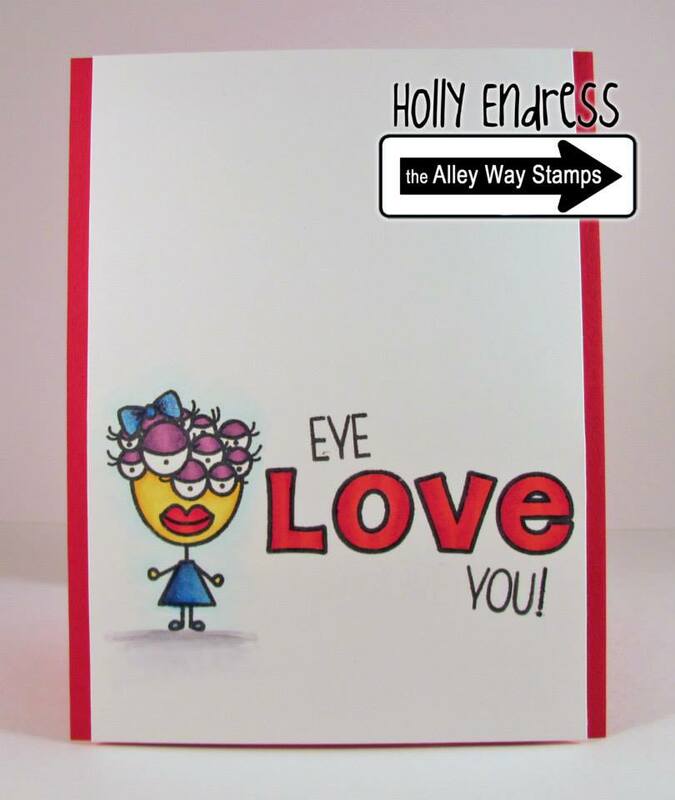 Wish BIG at The Alley Way Stamps (video)!